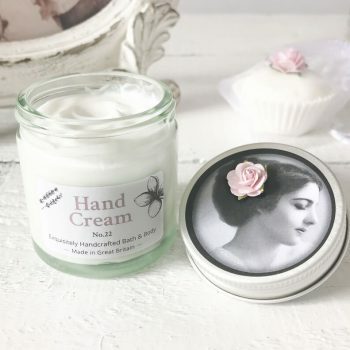 This adorable little jar of Hand Cream with beautiful Rose flower design comes in our wonderful signature fragrance No.22 a citrus and fruit blossom blend. This cute mini pot makes a perfect little Birthday gift especially as part of our create your own gift sets. Super concentrated but light in texture this little jar goes a long way. This water based hand cream is a non greasy blend and so soaks into your skin easily and doesn’t leave a residue. The sweet almond oil and beeswax moisturises and nourishes the skin leaving it beautifully soft and hydrated. This cute little pot is the perfect size to keep in your bag or in your desk drawer. 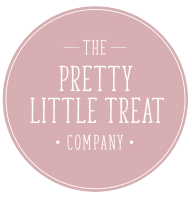 And if you’re already a fan you might like it’s big sister Pretty Hand Cream a perfect adornment to any dressing table! This is part of a present, so haven’t used but it smells wonderful! Love the packaging.